Now that the dust has settled after the excavation, and Lidl’s Eaton Socon store has opened its doors, this is a chance to hear more about what the archaeologists found on the site before the store was built. 8000 years of history in a one hour talk! Mike Cowham will be giving a talk on the world of sundials, including local examples. Mike was a founding member of The British Sundial Society founded in 1989. He is still an active member and has written a number of books on the subject, which will be available to buy on the night. The Cambridge Antiquarian Society's Autumn Conference and Exhibition generally focuses on recent archaeological work in Cambridgeshire and presents an unusual opportunity to discuss local archaeology with the archaeologists. Natasha was the senior osteoarchaeologist at the Cambridge Archaeological Unit for 20 years before starting work with Oxford Archaeology in 2016 as Finds and Environmental Manager. She has an extensive knowledge of the archaeology of Eastern England, particularly of burial archaeology, and has studied and contributed to numerous publications on assemblages both small and large from all periods. 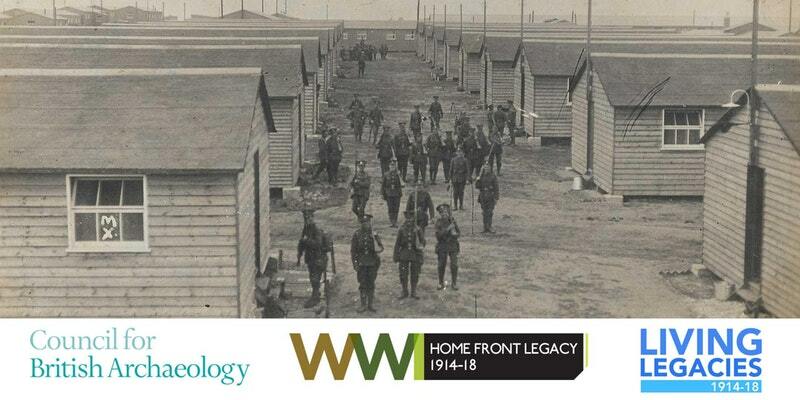 The Council for British Archaeology’s Home Front Legacy team in partnership with the Arts and Humanities Research Council Living Legacies First World War Engagement Centre are hosting a free community workshop in Cambridgeshire outlining how to research, record and fund your own First World War project. The workshop takes place on Friday 6th October 2017 at the Imperial War Museum, Duxford. It is aimed at county and local archaeology and history societies, leaders from CBA’s Young Archaeologists’ Club branches, CBA regional groups and existing and emerging First World War community projects funded through the Heritage Lottery Fund or through the Arts and Humanities Research Council First World War Engagement Centres. During the workshops, there will be the opportunity to learn how to use the Home Front Legacy recording app to create new knowledge about the legacy of the First World War in your local area. You will also be introduced to the Home Front Legacy’s range of learning resources for young people. Help and advice will be available to help you set up your own First World War community project with guidance on funding available from the Heritage Lottery Fund and how you can apply, while representatives from existing First World War projects will provide inspiration by sharing their experiences.